Download the ebook from Amazon to your smartphone, tablet, laptop, PC, Mac or Kindle. 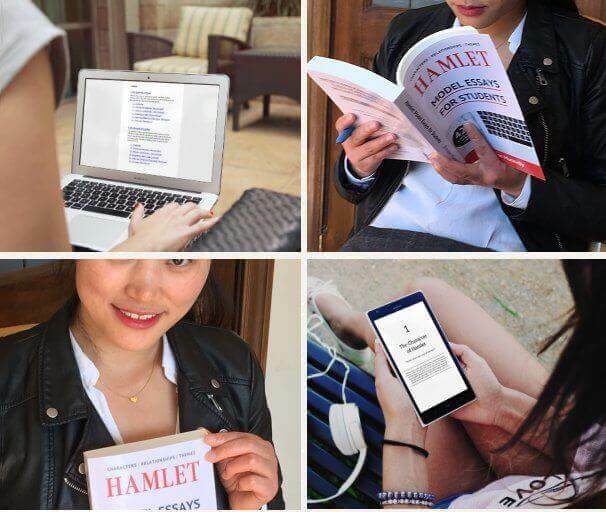 For students and teachers of Shakespeare’s Hamlet: 42 easy-to-read, written-to-inspire 1,500-word sample essays. Covers characters, relationships, and themes. Get the ebook from Amazon for your smartphone, tablet, laptop, PC, Mac or Kindle. King Claudius deceives everyone—except Prince Hamlet. Queen Gertrude deceives only herself. From Elsinore’s maddening world of deception and betrayal, Ophelia sees only one route of escape. The “mirth in funeral” union of Claudius and Gertrude means another marriage can never happen. In the “unweeded garden” of Elsinore, the unwed couple of Hamlet and Ophelia are united only in death. 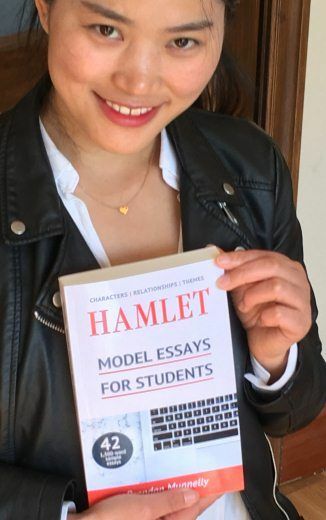 Building blocks to help you organize and structure your own personal response to the characters, relationships and themes of Hamlet. 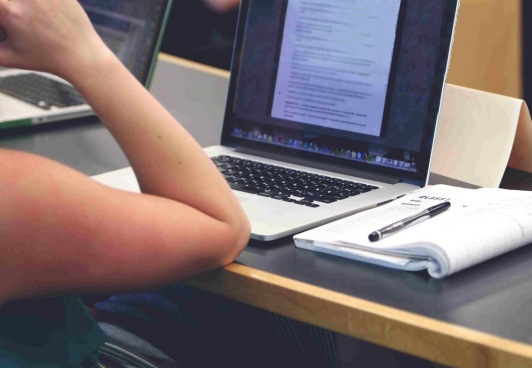 Starting points for you to express, in your individual writing style, your own thoughts about Shakespeare’s most celebrated but also most challenging play. 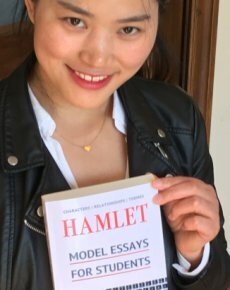 Hamlet: Model Essays for Students is available as a 320-page paperback directly from Amazon with a cover price of just $19.99. Alternatively, download the ebook edition for only $9.99 to your Kindle device. 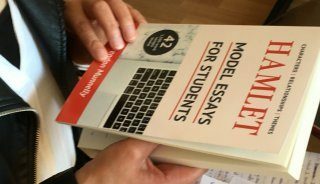 Use the free Amazon Kindle App (for iOS, Android, Mac and Windows) to download and read the ebook on your laptop, tablet or smartphone.